OnLive, the games on demand service that we first told you about this past March, has entered its promised summertime beta phase, letting PC game players test the potentially game-changing system for themselves. Steve Perlman, OnLive founder and CEO, announced the beta today on the service's official blog. Beta registrants who signed up early should keep an eye peeled for an e-mail, but latecomers interested in testing the streaming games service should still take the opportunity to sign up. OnLive beta hopefuls should ready some "general information about your ISP, your computer configuration and your location" so that the company can determine your worthiness as a beta tester. You'll also be asked to run a "performance test" to doubly verify your beta usefulness. Then you'll be able to see just how well the service works, if assurances that OnLive "will work" despite doubts of latency potentially ruining all the fun. 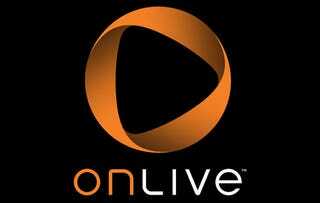 OnLive Founder Defends Game Changing Service: It "Will Work"
Let us know how it goes eh? Curious to see if the public experience is on par with the behind-closed-doors experience.